In the current use of our language, the words ‘soul’ and ‘spirit’ have essentially the same meaning. They are terms used to describe a mysterious state of awareness, or presence, that is the driving or animating force behind the externalized, concrete physical body that surrounds it. According to the teachings of the world’s major religions, this mystical soul, or spirit, somehow lives on after death. They tell us that just as we as human beings, living in a material body, grow and learn through linear time, so the soul, or spirit, grows in knowledge and experience through many successive incarnations. However, there is much evidence from the past that reveals that there may once have been a more complex meaning to these two terms, soul and spirit. There is a distinct possibility that they may not originally have meant the same thing at all. It may be, that somehow in the past, these two words became confused and that their separate meanings became lost in the well of history. In a way, this loss of understanding between these two words ‘soul’ and ‘spirit’ may lie at the root of much of our modern spiritual confusion. Perhaps it is time to reimbue these terms with their true historical meanings once again. In order to understand the subtleties of these two terms with greater clarity, let us take a look at the teachings of the rich and complex civilization of ancient Egypt. First of all, it is important to realize that the people of ancient Egypt lived a completely different type of existence than we do today. The ancient Egyptians lived each day, and each life, with a complete devotion to what today we would call the unseen world of soul and spirit that transcends our ordinary day to day existence. Time, for them, was not measured by the incessant ticking of the clock, or the hope of a secure future, but was built on a much larger concept, which included not only their time on Earth, but the afterlife as well. 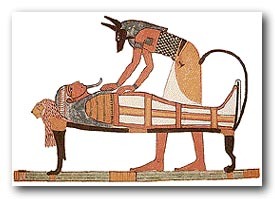 In fact, their entire culture, including their incredible edifices and their sacred science, was all constructed around a complete understanding of the afterlife and what happens to that animating force of human consciousness at the moment of death. The first state in this division of consciousness was called the ‘Ba’. This is the immortal state of existence. This is the aspect of consciousness that reincarnates. 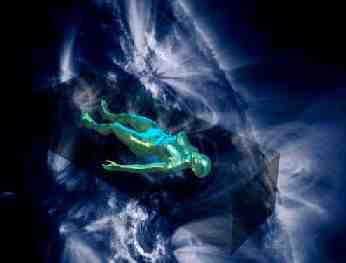 The Ba separates from consciousness at the moment of death and goes back into the well of souls to be reborn again. In our current lexicon, the words ‘soul’ and ‘spirit’ mean, essentially the same thing. But looking at it more closely, it can be seen that the word ‘soul’ is actually referencing the BA The BA, or the soul, never dies, it reincarnates and continues it’s sacred pilgrimage towards total illumination. 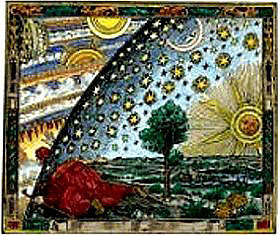 It has been described in religious literature as that spark of divinity that resides within us all, the aspect of our multidimensional being that inspires us to overcome our animal nature, to move beyond the cravings of the small self-centered ego so as to experience an interconnectedness with the entire universal reality. Called the ‘breath of life’, it is that unseen force, or essence, that travels throughout eternity from body to body on it’s great journey of experience, purification and enlightenment. The movie ‘Ghost’ was also about the kA state. Remember the demon spirit who haunted the underground New York subway system? This mad ghost, this haunted kA, was caught there in the subway system possibly forever. One gets the idea that this mad demon committed suicide there in the subway. Now he is condemned to reliving the incident over and over as his kA is driven insane. 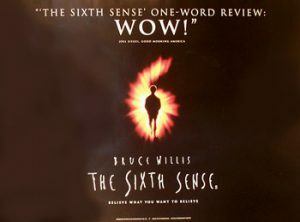 In addition, like Bruce Willis’s character in The Sixth Sense, the hero in Ghost, Patrick Swayze’s kA, is presented with the opportunity to ‘make things right’. At the end of the movie ‘American Beauty’, another Best Picture nomination this year, the Kevin Spacey character has just died. As the camera pulls away from his neighborhood, we hear his voice on the soundtrack. It says: ‘You know they say that when you die you live your entire life over again. Well, what they didn’t tell you is that you live your entire life again – but that you do it for eternity. But don’t worry, you’ll find out’. This is about as apt a description of the basic kA state as has ever been spoken in popular culture. 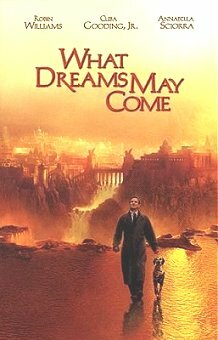 In the film ‘What Dreams May Come’, the Robin William’s character dies and goes to a place that looks just like the beautiful paintings that he loved while he was alive. The film reveals that the character has ‘created’ his own eternity in the kA state. Conversely, his wife later commits suicide and is banished to a hell. What they are telling you in this film is that the dreamlike, hallucinatory experience of your kA is based upon your own belief system and the manner in which you lived your life. This also is a clear description of how the ancients looked at the kA aspect of the separation of consciousness at death. Whatever life you lived here in this existence was repeated – perhaps forever – in the kA state after the moment of death. In these films, the Hollywood mavens have hit a nerve in the psyches of contemporary audiences. The celluloid dreams and illusions that they are creating for the masses can be compared to the numerous types of experiences that the kA may undergo. Is it possible that, by subliminally implanting these scenarios into our collective psyches, they are both teaching us about the kA state and subtly influencing it’s journey? Let us return to the beliefs and practices of the ancient Egyptians and examine this ephemeral kA state more closely. According to their doctrines, there are certain keys to understanding the various aspects of the kA state. They believed that the formation of the kA is deeply connected to the shaping, experience and remnants of the physical form. The kA includes all of the genetic material and characteristics of our parents and ancestors. The Egyptians knew that residue from all of one’s ancestors were sharing in the make-up of one’s own personal kA So reverence for one’s ancestors, and remembering their names, was considered essential to their practices. They believed that our ancestors kA lives on in all of us. Their genes, successfully passed down through the many generations, live on in each being born of their creation. All of our ancestors are gazing through our eyes at this very moment. The ancients believed that by just saying their names we can call them forth, with all of their wisdom and knowledge. They also believed that whatever objects one possesses in this life hold a part of one’s kA state as long as these objects exist. Imbued with the BA essence which once flowed through the physical form, they retain an energetic imprint of this force. This is why psychics can hold a key, an article of clothing, or other type of object in their hand and perceive many things concerning the life experience of the person who once possessed these objects. These psychics have the capacity to pick up the traces of this kA energy . Because of this factor, the ancients decided, wisely, to own as few objects as possible. They did this because they wanted to preserve their kA state in a way that they could control it after death. It was extremely important not to have their kA spread all over the place. Therefore, an essential part of their practices involved the proper preservation of the kA. 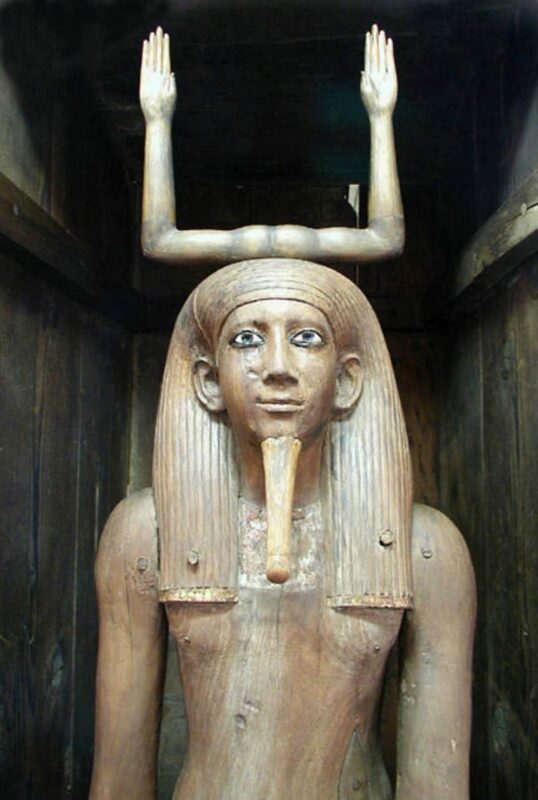 When grave robbers, and western treasure hunters, broke into many of the ancient Egyptian tombs they found exactly what has been described above. They found the kA objects, that were the possessions of the person who was interred in the tomb. They also found the mummified remains of the person’s body. There was usually a curse put over the door to the tomb. This curse brought damnation on anyone who would disturb the tomb. 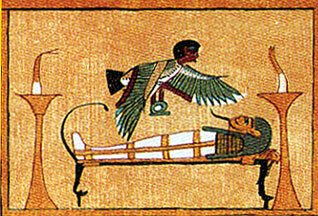 The non-disturbance of the kA objects, and kA body, were crucial aspects of the Egyptian science of the afterlife. Indeed, as will be revealed, the preservation of the kA, and the kA objects, in an undisturbed state was the doorway towards a kind of immortality. The formula went like this: in order to stop the BA from falling back into a state of reincarnation; and to stop the kA from constantly reliving a fantasy based on the consciousness of the life lived previously, it was necessary to preserve the kA in an undisturbed state. This would ‘ground’ the BA and prevent it from escaping back into the realms of reincarnation. Since the ethereal link between the BA and the kA had not severed, this allowed the BA to become an ethereal shamanic traveler into the many realms and dimensions that invisibly surround us. This includes, but is not limited to, planets, stars and even galaxies. 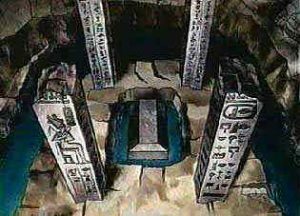 Certain rituals were designed to keep the kA inside the tomb and to make sure that it would not be released back into the world to become a phantom or ghost. If one was successful in accomplishing this then the BA would also be freed from the realm of incarnation. 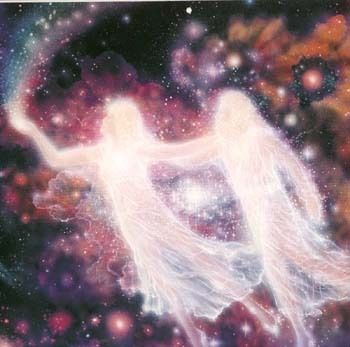 The BA would then be able to pass into many different realms of the afterlife at will. 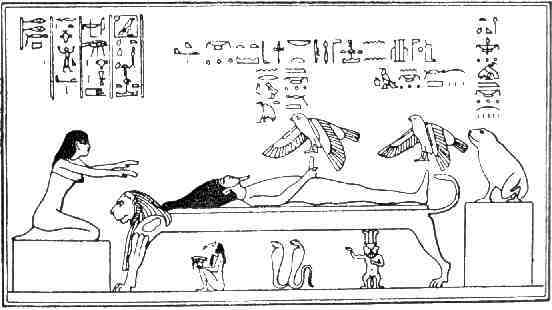 In Egyptian mythology it is fairly clear that when this state was achieved it was possible for the BA to actually become a ‘light body’, or a star in the heavens. Through the careful procedures of this science it would allow the division of consciousness at death to be halted, thereby gaining a certain degree of immortality. As we have seen, the science of the ancient Egyptians was a science of the immortality of consciousness itself. It was a science of the afterlife that promised to preserve both the kA and the BA It contained practices and procedures that would allow the kA state to not fall into the path of repeated fantasy states consisting of eternally reliving the memories of the previous existence. 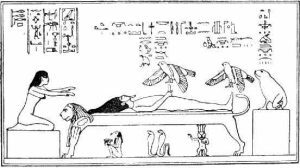 In fact, the ancient Egyptians – and research has shown that many other indigenous peoples also held these beliefs – created a system that could change this strange destiny at death. In fact, the essential transformational practices of Tibetan tantra including those of the Tibetan Book of the Dead, were created to lead the individual practitioner towards these same ends. 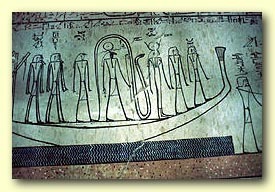 The Egyptians believed that human beings were the ‘seeds’ for stars. It was believed that human beings were walking, talking, thinking, conscious ‘starstuff’. And indeed that is what we are. Our bodies are made from interstellar dust which is the remains of ancient dead stars, cosmic debris and galactic particles. Throughout the course of our history on this planet, dust and water miraculously created animated star matter. Using meditations, shamanic substances and sacred rituals, these ancient priests/scientists traveled the shamanic pathways that exist in the higher realms that surround us like an invisible net. Achieving a state of what is now called a ‘near death experience’, these ancient shamans pierced through the misty curtain of the astral realm. They began to create a hygiene, or a proper set of rituals, that allowed them to navigate the infinite worlds of the after life. As these many shamanic voyages were catalogued and compared, a system began to be built that would allow the shaman, and the person experiencing death, to better understand what was happening and where to go in the afterlife. They called their map the ‘Tree of Life’. The purpose of this tree was to help the kA and BA, now united at death, to be able to travel the astral highways. The profound significance this symbolic map will be explored in Part II of this article. In addition, this science may be what is behind the many ancient ‘ley’ lines that mark the surface of our planet. These lines have been recorded all over the planet. From England and Ireland, to the Steppes. Ley lines have been found running over the tops of 18000-foot mountains in the Andes. They are usually perfectly straight. Their significance has been unknown for many years. It has been speculated that they are runways for UFO’s. Or that they are ancient highways. According to the work of Paul Devereuax, they are actually ancient shamanic pathways. These are shamanic spirit paths that allow fully realized soulspirits to take off and land, so to speak, into the other realms. This is why the shamans of old always were buried on the ley lines. In this way, their kA was preserved in a sacred spot. In Europe, the shamanic tradition called for the kings and priests to be buried under flowing creeks and rivers. They would dam the river and create a water by pass. Then they would bury the body in the flow of the water and release the flow again. This preserved the body so that it would not be found and it was preserved in a natural ‘ley’ line, which is what rivers and streams are in this tradition. Like Indra’s net from the Hindu tradition, the ley lines were reflected in the night sky as the paths between the many stars. For those who could read the sacred language which linked the microcosm with the macrocosm, the earth with the larger universe, outcroppings of rock, groves of trees, creeks and streams all became the earthly representations of the stars and planets. For these adepts, when one walked the earth they were not only tracing the psychic waves and patterns of the land, but also transcending this realm and walking among the stars. 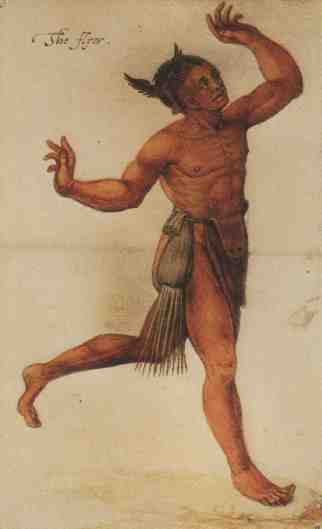 The aborigines in Australia believed that the stones sang the song of the stars themselves. If one listened closely they could hear the music of the spheres. The planet we live and walk upon is filled with the numinous residue of countless amounts of kA spirit. The dirt itself is made up of the dead bodies of plants, animals and humans. Each has endowed the soil with it’s kA The food we eat is grown in dirt that contains the remains of numerous life forms that existed in the past. Each retains a charge in that soil, and it too is added to the food we eat and the water we drink. This is the reason why in some Tibetan Buddhist practices, mantras are spoken prior to the consumption of meat. It is believed that if the consumer is a practitioner on the path to enlightenment, that by eating the flesh of that animal with total awareness he/she is creating a cause for it’s future enlightenment . From a spiritual perspective, the awakened practitioner has linked his own essence with the kA of the animal thus planting the seed of it’s own spiritual awakening. This endowment of kA essence into the earth is also the reason for the age-old linking between blood and soil. Even when genocide is committed, the kA essence of the people murdered still inhabit the land that they once occupied. So, we see that the words ‘soul’ and ‘spirit’ have very different meanings. One is the BA, the everlasting imprint of God that incarnates and reincarnates. The other is the kA, the material and psychic manifestation of that soul here on Earth. Like a footprint left in the sand, or the crumbling temples and monuments of our ancestors, this kA leaves only an impression of it’s soul, or BA, essence behind. In these times of shifting values, of battles between the forces of darkness and light, it is up to us to seek out, acknowledge and learn from the wisdom of our ancestors so that we may once more, enter and navigate the divine realms and take our immortal place among the stars.